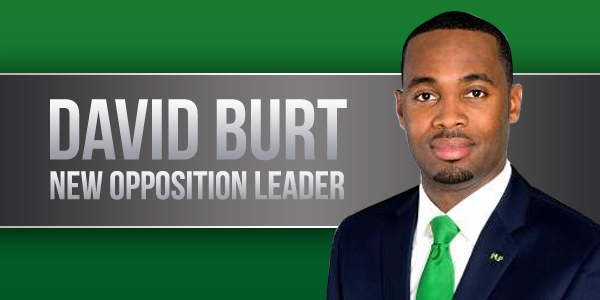 [Updated: David Burt has been elected as the new PLP Leader and Walter Roban has been elected as the new Deputy Leader. Mr Burt defeated veteran MP Dennis Lister by a margin of 39 - 35 to win the leadership position. After confirming last week that Opposition Leader Marc Bean “has submitted a letter indicating his retirement from politics,” the Progressive Labour Party is holding a meeting this evening at Devonshire Rec, with a number of party figures seen walking in already. Following Mr Bean’s retirement on Friday, Marc Daniels confirmed earlier today that he resigned as the Opposition Senate Leader and Senator for the PLP. There has not been any official confirmation that a new leader will be chosen this evening, however we are outside the meeting. and will provide updates as able. As a note, we expect the meeting to take some time, so do not expect to have any formative updates until later this evening! All with instructions to put on a fake beaming smile. So fake. You know it is particularly if Rolfe is smiling. Well who is fake laughing “NOW”, Because this is no joke and with Mr. Burt as the Leader, this gives the O.B.A a very uncomfortable feeling and Mr. Michael Dunkley a reality check to what real Leadership look’s like. Now that the restructuring has begun and the P.L.P is confirming their determination to stand strong, I say the O.B.A has a lot to be concerned about and if they have any sense at all, they will start by removing their leader, let the milk man go back to the farm and milk cow’s. We are tired of his weak leadership and his photo op’s, at some point they would need to get a new leader or continue down their slippery slope. SO the branch members didn’t get to have a say in who their member should vote for????? PLP – keeping it out of the hands of the people. Congratulations to the Leader MP Brilliance of David Burt and intelligents of Walton Roban, a strong team to Stand for the people……. If he is “brilliant” and “Walton Roban” is so “intellegents” perhaps they can find the $800M. Well done on reminding the PLP of what they are supposed to do. They won’t listen. Why is Burt Brilliant ? You keep going on about why he is brilliant, so give us your full assessment of why you think he is brilliant please. Was Roban “serving the people” when he overturned Planning Dept decisions and approved the Zane and Furbert planning applications? I scrolled through the pics of players. I don’t see any “restructuring” at all.In fact if there was any attempt at “restructuring”…it resigned yesterday. There’s a new Sheriff in town, and his name is Reggie Hammond , Right On (Eddie Murphy) in 48 Hours at de redneck bar. Come on Mr Santucci answer my question. People, look what the P.L.P. did to our Island !!!!! !for God’s sake do not vote them in again. No, don’t get it confused. Trump just retired! Zane don’t want that hot potato. With this guys credentials, you can put Stale milk and Jet surroGate together and they wouldnt even come close combined !!!!!!!!!!!!!! Where are the new people? All those in the pictures are the old guard that put Bermuda in the financial mess it is in today. The same people Marc Bean and Marc Daniels have spoken out against. Seems the PLP hasn’t changed, and is the same old, same old. Seems like it. There’s Zane DeSilva followed by Derrick Burgess grinning like the cat who got the cream. At least 3 times he was given the answer the COI were looking for relating to submissions to Cabinet, from the COI itself and twice from his own QC , but was so full of himself he failed to take the opportunity to redeem himself. Time for new people untainted by the very failings highlighted by Marc Bean and Marc Daniels. Like de Old U.B.P. boys, we dont see them because de media is banned from their premises. So the party elites decide rather than extend the vote to wider party membership. So much for democracy when it concerns their own leadership. All members are equal, but some members are more equal than others. This is a most ignorant post. If you dont understand the delegates process is pretty much the same system that the US parties use to elect their presidential candidates. Thats how political parties work. Do you know the logistical nightmare it would be to have all fifteen thousand PLP members to vote? Or all members of any party for that matter? Should have been decided at meetings at the branches, then those decisions taken forth to this one. They are just choosing themselves over and over again….no chance for anyone who does not have a seat at the table already. Onion Juice…you just don’t care what the people of Bermuda think! Didn’t see Bean or Daniels the life long member ! Suckem zane… all that paper work your carrying.. Wait. Did the wind blow in Paula? The wheels are coming back. Paula Cox and Johnathan Smith. I would agree but that’s much too logical for many. So its possibly between Lister and Burt. I seem to recall that when Lister was Minister of W&E he contradicted Dr. Brown over a segment of the Southlands development. It seemed like they both had no idea what they were talking about. As for Burt, he was really reaching HARD today on the ZBM news cast when he was responding to the Throne Speech. He’s no dummy, he knows how to push certain buttons but if only he could actually get his facts right. Same old has beens who messed up bda. So! Will the politics of plunder continue? Stop with the trick questions. No they dont realize that. So sad its funny. Smh. Well who leans more to de Confederate flag ideology, U.B.P. or P.L.P? PLP, they are a predominately mono chromatic ideology. The OBA is far more center oriented to the business climate as an approach to stimulating a climate that Bermudians can seek success in, with very little actual ideological valuation. Ideology has never worked in policy or governance. Onion juice won’t (can’t) understand that! Like giving Billionairs millions of $$$$$ for a sailboat race while de working class, seniors and education takes a cut !!!!!!!!!!!! @Gotta Luv um and other like mixed people. Stop painting everyone with the same brush. That’s like me calling you a racist without even knowing you. Not all people that voted for Trump are racist. However, I can say with complete confidence that all racises have voted for Trump in this election. I never comment on this website but I have to point this out….has anyone noticed so far there are no comments posted in support of the PLP yet? All the die hard trolls that comment on their behalf must be at that meeting. Given that remark, don’t comment anymore! It’s amazing how the comments above betray the fear of a PLP electoral victory. Governments change. Bermuda has to have credible options. Well done PLP for moving ahead with new leadership in light of Marc Bean’s decision to step down. For the record the above writers using Bean and Daniels as a standard have never supported them in the past. Both deserve thanks for the time they have given the country and are solidly PLP. New Leader. Time to move forward. For the record, fear is justified. I asked above about a finance minister. Who would it be? what is new here,nothing, except Bean and his voice of the grass roots is gone. Expect the same old same old. Nice smiles and a new old Dr.Brown PR spinn man as Chairman to make the message palatable. Will it be enough to win the next election? Let’s see what happens in the bi-election! Great entertainment if it wasn’t so serious. Burt as leader was literally the worst decision possible. Good luck PLP. 39-35 pretty close…was it a secret ballot? Does he know his enemies? Were any refreshments served? Great to see Renee Ming in there. She is one of the bright stars of the PLP. Can’t wait to address has as MP. Renee Ming! Ah ha..the brilliance of Burt. Part of the fail train! What joke. He couldn’t manage his way out of a paper bag, and doesn’t have the wit to look forward. Same old, same old tired PLP. Devoid of ideas and principle. So the man who has defended untendered contracts to fellow PLP MPs becomes the leader and the man who had to resign his ministerial position for giving SDOs to his fellow PLP MPs becomes deputy leader. While at the same time the man who decried the ‘politics of plunder’ is without a job or political party. No wonder burgess and Desilva are smiling. Back to the feeding trough which is taxpayers funds. Say a lot about the Party. Time for another new party!!! Dont forget to use a Surrogate as a Pied Piper. Some would argue that’s exactly what was done last night. The selection of Burt and Robain is a disaster. Both are linked with the past issues and support of poor fiscal management. Both are light weights in the field of business and can never represent Bermuda on the world stage. Surely party allegiance can’t be the determining factor in what’s best for Bermuda. More of the same PLP destruction of Bermuda’s economy is guaranteed if they head up the new Government. Remember Burt is coming after your pensions to support entrepreneurial business. What a bad gamble on your hard earned retirement benefits. How about passing the planning applications of colleagues on final day of position. How about plagerism of a speech, followed by denial, where plagerism was proved by a recording. How about unlicensed alcohol sales and use of copyrighted images. How about a complete lack of understanding of simple mathematical concepts. Marc Daniels’ words – not mine – very very telling!!! Hard to tell if that is a PLP meeting or an OBA meeting with all the flip floppers marching in. Yeah, looking at you Kim Swan and Wayne Furbert. Money over Princple, no wonder people like you can be bought. Get your head out of PLP me , myself an I ..ism. Swing Voter is referring to money flowing into the Country. Money being spent in the country, creating jobs and new opportunities and sustaining jobs, new business is opening as opposed to closing. More Tourists are coming, more international business is coming in , we have the AC (massive internationally)…things are on the up under the OBA. Actually the principle is that the government can’t do anything without the money to do it with. So the they have to set policy that atracts the money to our shores. They also don’t believe that it is the role of government to make all people equal, but to ensure that people can compete on as equal footing as they can make, and to do what government can to create as much opportunity for those willing to work for it. The problem with the system isn’t just that the government isn’t making it work, it’s that there are too many not willing to work for it. Congratulations P.L.P. ,,,,, for landing back on its feet ,,,,Now lets get back to work,,,,,P.L.P. Forever..Congratulations to the New Leader and Deputy Leader.Peace. To put rayban in that position just crazy. Bermudians deciding to volunteer for service to country/leadership roles must read/research and learn so that the legacy to the next generation is tangible (real long-term change) and not self-serving. People it must stop being PARTY Priority and ‘you all’ need to dig deep and make a conscious decision to make it COUNTRY Priority for ALL to be involved and the best result is that ALL will benefit. It is an ideal for which we hope to live for and to see realised. But, My Lord, if it needs be, it is an ideal for which we must make personal sacrifices for not die for. Mandela exemplifies how a strategic leader adjusts strategy and execution amid complex social, political, legal and economic forces without compromising deeply held values. Leadership is not just about motivating people and creating political support for a strategy, but also about maintaining broad support through successive adjustments to the plan. Let the Real change start NOW. Coming up to this election we need fact checkers like they have in the US. Burt is famous for spewing out false information when he talks to the press. to me that, the I and ME Party have decided to forget about US and WE. One of the worst decisions the PLP has ever made. I mean, I knew they lacked brain cells but this takes the cake. Maybe they’re trying to lose the next election on purpose? ?